Our Social Reward Training System is unique, easy to learn, and gets great results. The social relationship between you and your dog forms the basis for successful training. It is based on a strong bond, communication, and teamwork. Using your dog’s natural social behaviors to teach new behaviors provides extra motivation to do the right thing. Using a social reward system teaches your dog to happily respond to you because of your relationship. The social value of praise, petting and play are maximized. 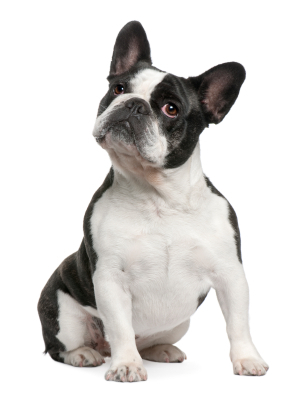 Your dog enjoys socially interacting with you and eagerly responds to your movements, postures, touch and tones of voice. Our goal is not to become a food dispenser, where a dog works primarily to get treats. Yes, training tools like treats, leashes, and toys are used, but they’re not over-emphasized. An over-emphasis on treats can unbalance our relationship with our dog. What is a “Willing to Please” Dog? Some dogs are more naturally willing to please than others, but this desirable trait can be developed in all dogs – even independent ones. What does a “willing to please” dog look like? Remember: The best way to bring out willingness to please in your dog is to develop a close, trusting relationship based on positive interactions developed through training. Motivational or reward-based methods make training more enjoyable for you and your dog. Immediate rewards like praise, retrieving, play and treats all provide positive incentives to respond consistently to commands. “Real world” rewards, like going for a walk, play sessions, or going for a ride become increasingly important as your training progresses. We will not use training methods or techniques that depend on fear, intimidation or pain. A punishment-based approach is detrimental to you and your dog. It is never necessary to frighten or hurt your dog to get good results. Instead we emphasize methods that build teamwork and mutual communication and bring out your dog’s eagerness to work with you and for you. Whatever you do should work without physical or emotional detriment to the dog. We always emphasize doing the “right thing.” Any negative feedback is always “sandwiched” by positive reward and is usually as simple as a change of your body language or tone of voice. This leads to more effective communication and keeps training fun. Dogs should enjoy their training. Motivation is the key. When your dog wants to do what’s asked of him, it’s easy to control his behavior. High-quality Labradors for home, show, and field!